Nintendo is taking baby steps with an official date on this exciting strategy game from Fire Emblem studio Intelligent Systems. First it was the announcement that Code Name S.T.E.A.M. even existed at E3, then it was confirmation of a release in Spring 2015, and now we have it narrowed down to March 2015 from the Game Awards. What's going to come next? The third or second week in March, or is Nintendo going to slap it with an actual date? Wait, they did! Code Name S.T.E.A.M. will release on March 13, 2015. Code Name S.T.E.A.M. looks to bring the third-person strategy elements of Valkyria Chronicles and XCOM: Enemy Unknown to your Nintendo 3DS. While I am not too huge on the steampunk setting, the story is a masterpiece in the works combining elements of history like President Abraham Lincoln, her Majesty's Royal Forces, and the industrial revolution and pitting them against an invading alien force invading American Civil War/Victorian Age London. And to top it all off, Intelligent Systems has this great cel-shading Viewtiful Joe-esque graphic style to back it up. I'm pumped for this game, and so should you be. 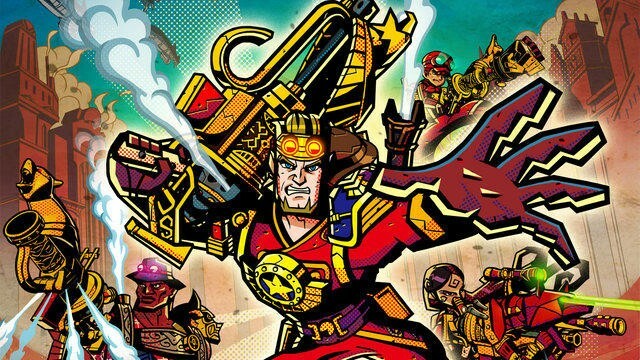 Intelligent Systems has always quietly been one of Nintendo's best and brightest studios, and with titles like Fire Emblem and Advance Wars under its belt, it is very clear that its workers know the insides, outsides, upsides, and downsides of game development, especially when it comes to strategy games. Look forward to Code Name S.T.E.A.M. released on the Nintendo 3DS on March 13, 2015.